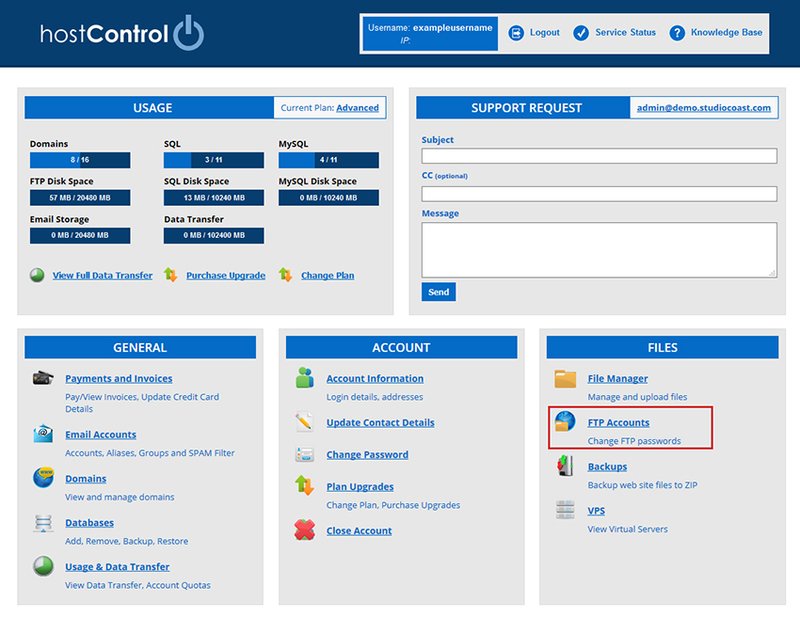 This is a guide on how to setup an FTP account through hostControl. First Login to your hostControl account. 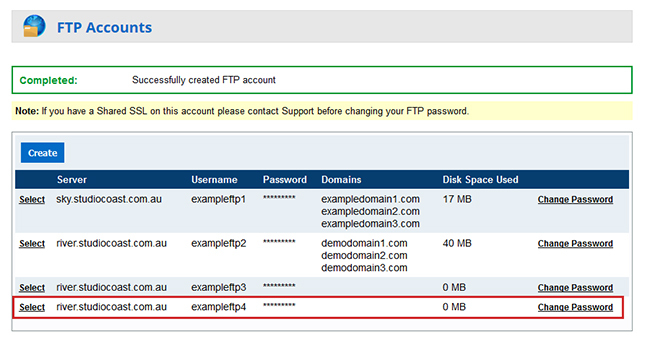 Then select the "FTP Accounts" menu item from the Files section. Next select the "Create" button up the top. 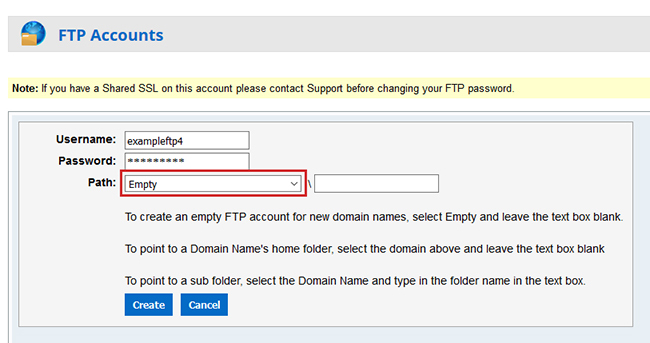 Select one of your existing domain names from the "Path" dropdown menu, then enter in the subfolder name you wish to point the root of the FTP Account to. 2. 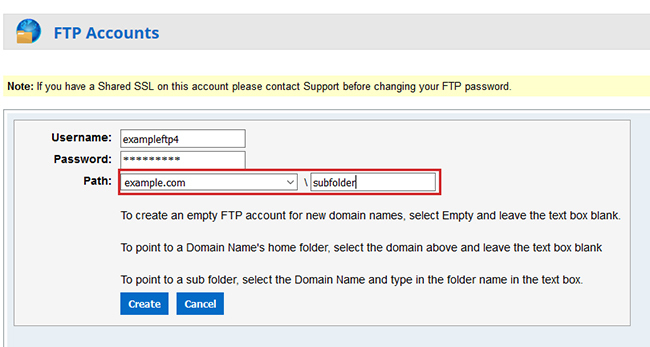 Create an FTP pointed to a specific domain name folder and files. Select one of your existing domain names from the "Path" dropdown menu and leave the following text box blank. 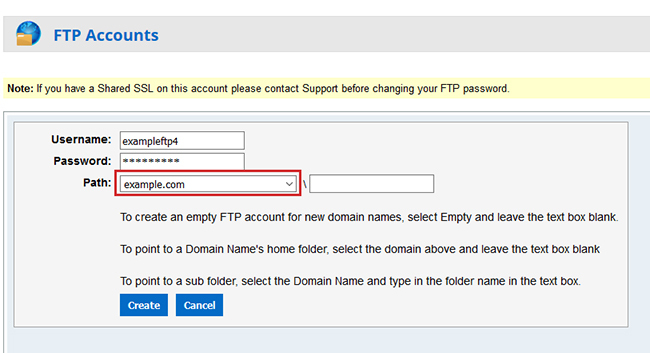 This will create an FTP Account pointed to the root of the domain's files (home folder). Select "Empty" from the "Path" dropdown menu. This will create an empty new FTP Account on our most recent web server. Once you have filled in the details, click the "Create" button at the bottom. The new FTP account has been added and is now ready to use.